Best Mascara For Women Over 50: Banish Raccoon Eyes With Anti-Aging Makeup Tips! Anti-aging makeup tips for women over 50 definitely needs to include how to choose the right mascara. There is nothing more aging than dark circles under the eyes, so walking around looking like Rocky Raccoon from smudged mascara is a #1 no-no. It doesn’t matter how well dressed you are, how well you carry yourself or how much you spend on it, smudged mascara is an equal opportunity ager! Unfortunately, finding a product that doesn’t run, smudge, or clump is actually easier said than done. What IS the best mascara for women over 50? There are hundreds of different brands out there, and everyone wears it differently. Endless brands of mascara claim to be smudge-proof, water-proof, run or streak-free. I think I have probably tried most of them over the years. As a contact lens wearer, I can tend to rub my eyes a bit at times, so having a product that doesn’t easily come off is important. Also, having a product that DOES easily come off is important! Clinique High Impact requires a little bit of attention going on – you need to get it on the lashes and then continue to coat and separate them. It makes a big difference in how it looks if you get as close to the base of the lashes as possible. 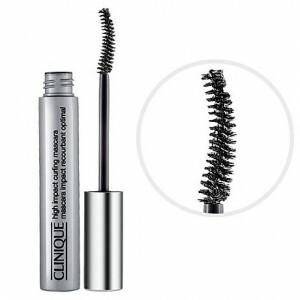 This mascara features tube technology, meaning once this is on, it creates a coating of mascara around the eyelashes. I can wear this all day long and have zero mascara under my eyes at the end of the day. One of the most amazing things about this mascara is that when you want to take it off, all it requires is warm water. As a matter of fact, if you wet your face in the shower, for instance, you can gently just pull the mascara off as though it were little mascara tubes coating your lashes. No rubbing, pulling, or applying oily makeup remover that gets in your eyes. The negatives to this mascara? If anything, I would say I don’t absolutely love the brush, but it works so well it’s hard to complain about it. Also, it tends to start to dry out in the tube after a bit…it’s really best when fresh. It does last a long time, though. At $19 a tube, it’s pretty affordable for the quality. This mascara is so close behind #1 that if I wasn’t such a loyal Clinique customer, it would probably have already jumped up a notch! Mary Kay Lash Intensity Mascara checks all the boxes. It is easy to apply, easy to remove, doesn’t smudge, and has lash lengthening and thickening properties that you have to try to believe . As we get older, our lashes and brows begin to thin and actually regrowth is slower. You may find that using an eyelash curler is harder on your lashes, and can pull them out or break them if you aren’t careful. Be gentle with that you put on your eyes, and avoid rubbing them as much as possible. 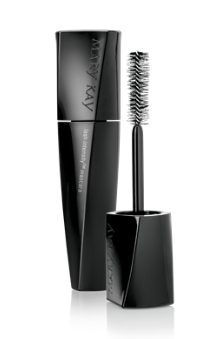 Mary Kay Lash Intensity Mascara is a beautiful, deep, rich black. Sounds crazy, but it really is pretty. The brush with this product is probably one of the things that makes it so successful. It is designed to give multi-directional coverage, and does just that. It covers quickly and smoothly in one coat. On and off: this mascara says on all day, and comes off with soap and water or a non-oily makeup remover. Negatives? The only one I can think of is that as it starts to dry out at all, you need to pull the brush in and out a few times to make sure there are not any thick areas of mascara on the tip of the brush. It may go on too thick, and you have to brush it a few times to get all the lashes to the right ‘plumpness’. Also, I think some people have trouble getting used to the unique brush, but once you do you realize how important the brush is to getting that rich, lush look on your eyelashes. Overall an amazing product. Contact your Avon Representative to get one, or try it out by ordering on Amazon here at around $18. *Note: This is an independent product review. The author did not receive compensation of any type.